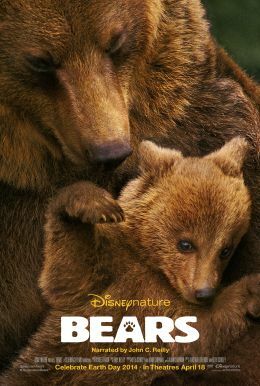 Disneynature’s new True Life Adventure “Bears” showcases a year in the life of two mother bears as they impart life lessons to their impressionable young cubs. Set against a majestic Alaskan backdrop teeming with life, their journey begins as winter comes to an end and the bears emerge from hibernation to face the bitter cold. The world outside is exciting—but risky—as the cubs’ playful descent down the mountain carries with it a looming threat of avalanches. As the season changes from spring to summer, the brown bear families must work together to find food—ultimately feasting at a plentiful salmon run—while staying safe from predators, including an ever-present wolf pack. “Bears” captures the fast-moving action and suspense of life in one of the planet’s last great wildernesses—where mothers definitely know best and their cubs’ survival hinges on family togetherness.